ST. CATHARINES, Ont. (January 31, 2018) – With 130 days to go until the opening tipoff, preparations continue in St. Catharines ahead of this summer’s FIBA U18 Americas Championship 2018 (June 10-16, 2018) at the Meridian Centre. 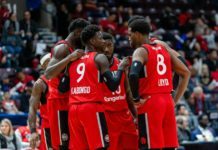 Canada has found themselves in the top three in each of the past five tournaments dating back to the 2008 edition in Formosa, Argentina, including back-to-back silver medals in 2014 and 2016. Full-Tournament Early Bird ticket packages are now on sale for $125 ($165 value) and include access to all 24 games of the tournament. Additional tickets package options will become available at a later date. Fans interested in cheering on Team Canada can secure their seats today as tickets are now on sale through Ticketmaster. Join Canada Basketball and the 2021 Canada Summer Games Host Society in downtown St. Catharines for a fun, family friendly street festival as we celebrate the start of the FIBA U18 Americas Championship 2018. With activities planned for basketball fans of all ages, you won’t want to miss the chance show off your skills before heading to the Meridian Centre on Sunday to cheer on Team Canada. Stay tuned as more information will be announced next month. Jr. NBA World Championship Canada Regional Finals will take place June 15-17, 2018, in St. Catharines, ON at Brock University and the Meridian Centre. Last month, the NBA announced the Jr. NBA World Championship, a first-of-its kind global youth basketball tournament for the top boys and girls teams ages 14 and under from around the world. The Jr. NBA World Championship will feature boys and girls divisions, each comprised of 16 regional champions (eight U.S. and eight international teams) that will receive all-expenses-paid trips to compete in the inaugural event Aug. 7-12, 2018 at ESPN Wide World of Sports Complex near Orlando, Fla.
For more information on the Jr. NBA World Championship Canada Regional Finals, click here. In conjunction with the FIBA U18 Americas Championship 2018, NCCP Super Clinic will be held at Brock University from June 8-10, 2018. A national coaching education weekend for coaches across the country and foreign travelling coaches, NCCP Super Clinic provides an opportunity for coaches to take one of six NCCP coaching courses or professional development streams. The 2018 edition of the event will look to build on the success of the previous NCCP Super Clinics, while continuing to develop coaches, officials and administration involved in the game of basketball both in Canada and abroad. For more information and to register for NCCP Super Clinic, click here. Ahead of the FIBA U18 Americas Championship 2018, the City of St. Catharines in conjunction with Canada Basketball, is hosting Steve Nash Youth Basketball (SNYB) Coaches Certification Clinic (February 24) and March Break Clinic (March 12-16). Steve Nash Youth Basketball (SNYB) is a national youth basketball program designed to develop fundamental skills, sportsmanship and a love of the game of basketball. 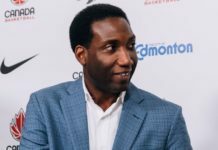 This Canada Basketball grassroots initiative empowers community basketball groups, facilities, and clubs across Canada in an effort to positively influence youth through the sport of basketball. Interested coaches can register for the Coaches Certification Clinic by contacting Lori Mambella at lmambella@stcatharines.ca or by phone (905)-688-5601 ext. 1923. Online registration for the March Break Clinic is now open at www.stcatharines.ca/ePlay or registration can be completed person at the St. Catharines Kiwanis Aquatics Centre or City Hall. Canada Basketball and the 2021 Canada Summer Games Host Society are now accepting applications from interested volunteers to help support the event. 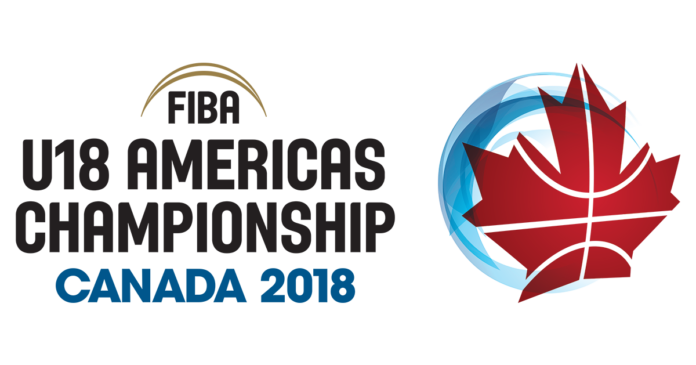 The FIBA U18 Americas Championship 2018 will require more than 200 volunteers and the organizing committee is calling on the local community to get involved. Volunteers are required in several areas, including operations, sport technical, media centre, sport presentation, as well as hospitality. For more information and to sign up to volunteer at the FIBA U18 Americas Championship 2018, click here.